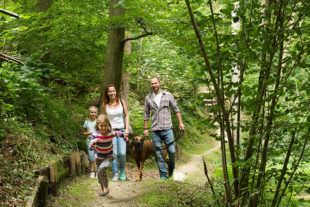 The Hansenhohl gorge forest is a popular local recreation zone near Thannhausen. 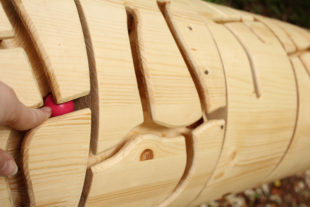 Especially for families with children, there is a lot to discover and explore here. In the middle of this natural forest – at a range of both analogue and digital interactive stations – young and old can try and solve the mysteries of a crime: the sabotage of the town’s crucial flood levee. However, even without the criminal case, these playful learning stations impart their knowledge in an instructive and educational way. Topics are the fauna and flora of the gorge forest, flood protection and the diversity of life in deadwood and in the soil. A narrow, approx. 1.5 km long footpath winds its way through the mysterious gorge, across steep steps and over rustic bridges. 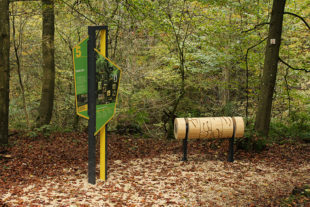 This adventure trail invites walkers to enjoy nature, and to put their powers of deduction to the test at its eight game and information stations. 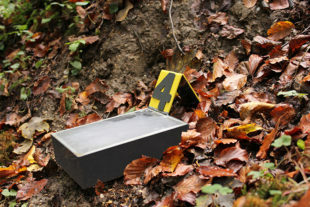 Both explorers and detectives will find here what they are looking for. The ‘Sabotage at Hansenhohl’ detective app is available for download at www.app.quiztour.de. At eight quiz stations, a police siren is activated via GPS, indicating that the next station is nearby. It’s all about looking for clues, answering questions and using the correct answers to get a little closer to solving the case. 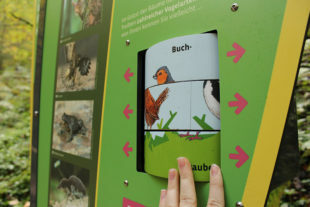 The mechanical, interactive game stations offer exciting information about nature in the gorge – even without following the detective trail. 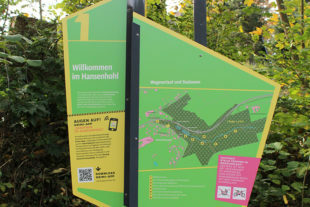 The stations are designed to be wind and weather proof – it’s only in the dark that the games don’t work, as there is no electricity at Hansenhohl.